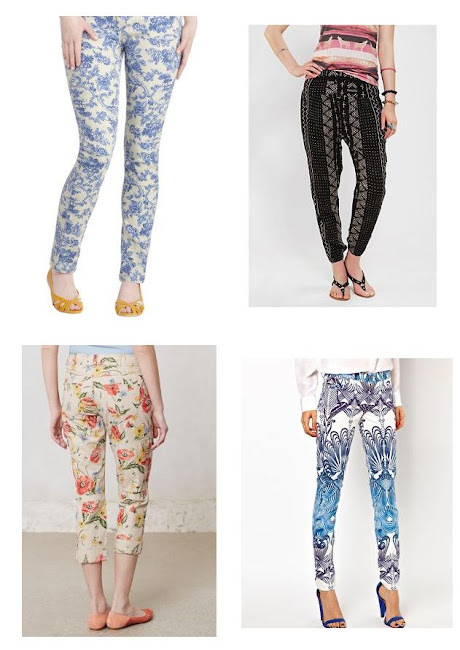 Everyone knows that patterned/floral jeans are in for spring but like many others I was very weary of this trend. Too large of a print might extenuate my short height, too bold of a print might come dangerously close to that tacky Hawaiian print my dad has on his luau shirt. Needless to say, you have to find a happy medium, a print that suits your tastes as well as your shape. I liked these because they were a very muted sort of vintage pattern that I can pair with pretty much anything (found at Bells on sale for $15). 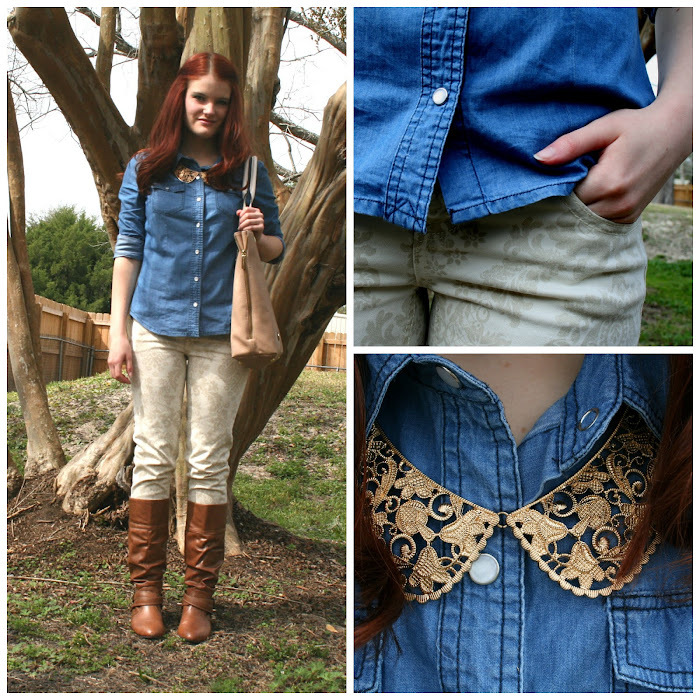 What are some other spring trends you're following?